Oh yeah, I see you waving your hand out there. Don’t worry; you’re not alone. I’ve been there too, more times than I can count. Got into credit card debt? Check. Took out too many student loans? Check. Didn’t read the fine print on an apartment lease? Yep, I’ve done that too (with very expensive consequences, mind you). Some of the mistakes above are so commonplace that we don’t think much about them anymore. 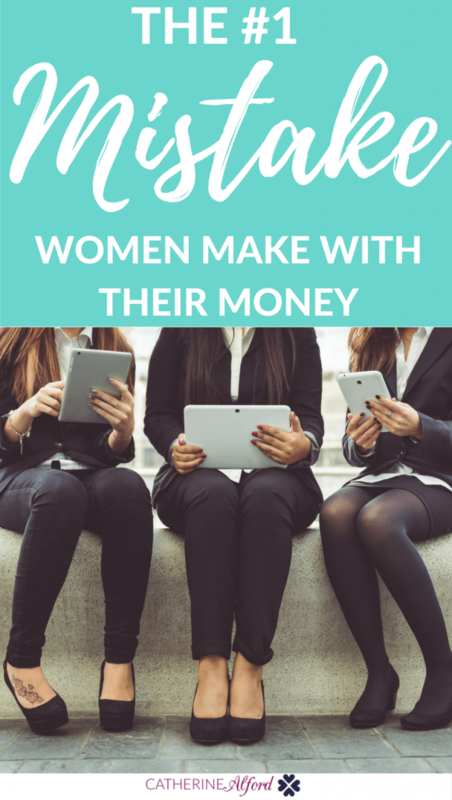 There is one mistake I didn’t list, though, that is incredibly important to know about, and yet so many women out there don’t even know they’re making it! This big mistake I’m talking about seems simple on the surface, but has deep implications for our overall financial health as women. This mistake is, to put it plainly, not saving enough for retirement. The 16th Annual Transamerica Retirement Survey revealed some concerning statistics about women and retirement. Only 12% of women are very confident in their ability to retire comfortably (vs. 16% of men). 46% of women are not too confident or not at all confident about their retirement savings (compared to the 36% of men who are not confident). 81% of women are concerned Social Security will not be there for them (compared to 71% of men who worry). Of the women who take a break from the workforce to act as a caregiver, 67% of them believe this choice will affect the size of their nest egg in retirement. If women are offered a 401(k) plan through work, only 76% participate in the plan vs. 82% of men. On average, women who contribute to work-sponsored 401(k) plans save 7% of their annual salary, but on average men save 8%. Women typically live longer than men, and thus many women believe they need to save even more than men for retirement. A startling 62% of women surveyed just “guessed” at how much they would need for retirement. We Need to Be Better – But How? As you can see, women are lagging behind men when it comes to retirement savings, not only in how much we are saving but in how confident we feel about our savings. We can do better, ladies! After all, there has never been a better time in history for women to become empowered about finances. Never in history have women earned so much. Never in history have women fought so hard for equal wages. We’re also fighting for affordable childcare, better maternity leave policies, and more. Now is the perfect time to learn more about your retirement savings. The great news is that no one ever has to “guess” how much to save for retirement! T. Rowe Price has an award-winning retirement calculator that you can use to see how much you need to save to live the life you want in retirement. Just enter in information about yourself, your current savings rate, and how you want to live in retirement to learn if you’re on the right track. There is also a great video series on women in retirement that I found incredibly inspiring. The videos feature women of various ages and backgrounds, and focus on some of the unique challenges we face as women, like how women are excelling more than ever in the workforce and yet still earn less than men – and thus save less than men for retirement. The videos also talk about how women have so many competing priorities, especially once they become wives and mothers. All of these things that pull women in so many different directions somehow makes retirement savings fall down the priority list. What these videos really revealed to me is that retirement is a women’s issue. It just happens to be a women’s issue that no one ever talks about, and yet, as I said previously, the implications of not saving enough for retirement can seriously affect our well-being as we age. But Where Should the Extra Savings Come From? That’s a valid question, and whenever someone needs more money to achieve a goal, I always tell people that they have two options: make more or spend less. Personally, I’m a fan of making more, but there have been times in my life where I’ve drastically cut down spending, too, in order to achieve a financial goal. When it comes to making more, women are getting better about asking for raises at work. In fact, studies published in the past few years kept saying women weren’t getting raises because they weren’t asking for them, but new research shows that may not be true. To make sure you get the raise you ask for, prepare well in advance. Don’t just go and ask for one because you’ve been working at your job a long time or you need it financially. You have to prove to your employer that you, as a person and employee, are a valuable asset to them. Show your employer examples of ways you’ve improved the company or increased revenue. Every time you get a compliment from a customer or client, write it down. Keep a file with this information in it, and when you’ve gathered enough evidence, make your move. If you own your own business as I do, know that there is no harm in aiming high when it comes to contracts and partnerships. Sometimes you might surprise yourself at how much you can earn because of the value and experience you bring to the table. Also, don’t be afraid to lose a job or a client because of a price point. You can always negotiate or search for better partnerships elsewhere. Another component in overall financial health is tracking your spending, especially if you want to focus more on the “spending less” part of the equation. I know I mention this all the time, but I really do recommend Personal Capital as a way to track spending because it’s free and it can show you your spending and your retirement savings all in one dashboard. I log on and look at my dashboard every single day. So, women are doing most of the spending and making most of the day-to-day money decisions in our households. I know I do. I buy pretty much everything we need from diapers to groceries to the crazy night light I just bought as a last-ditch effort to help my kids fall asleep more easily at night. Ultimately, I see no major difference between controlling spending and saving for retirement in terms of the difficulty level. If we, as women, are making the big spending decisions in our household and buying what our families need, there is no reason why we can’t learn more about retirement savings. If we can use a calculator to figure out how much to spend on groceries every month, then we can use a calculator to find out how much we need to save for retirement. If we can negotiate with a 2-year-old, which in my opinion is the toughest job out there, then we can certainly negotiate with bosses and clients to command higher pay. After all, we’re women. We can do anything. Let’s make sure saving enough money for retirement is one of them. This post was created in partnership with T. Rowe Price. Be sure to check out their fantastic video series on women and retirement to get you motivated to save more money for your retirement. My entire blog is aimed at helping women make better decisions and live with fewer regrets. This is what I try to do every day! Yes! I love that you’re trying to spread the message too! Yikes we definitely are not fans of those statistics you listed! If you don’t get a raise from your primary form of income, start making multiple forms of income through side hustles! Let’s make 2017 the year women start saving more than men!